As another Consumer Electronics Show comes to a close, many of us may feel like that expensive brand new, big screen, HD TV we picked up in a Boxing Day sale has already been rendered obsolete by the raft of new, 4K TVs on display in Las Vegas. Among the new displays showcased, boasting four times higher resolution than the 1080p HD set in your living room, included a 50-inch model from Vizio priced at an actually affordable $999 USD. While most sets still ranged in the thousands-of-dollars range, that price point indicates 4K TVs could soon become attainable for many consumers. Also referred to as ultra high definition (UHD) video, the new format is also getting content support from top online video providers Youtube and Netflix. Netflix plans to broadcast the second season of its House of Cards series starring Kevin Spacey in 4K Feb. 14. The trailer for that show is available to be streamed in 4K resolution on Youtube (see it embedded below). Youtube demonstrated at CES its 4K streaming using a low-bandwith and royalty-free codec it developed called VP9. Google has recruited 19 hardware partners reflecting both the chip maker and TV-maker industry; including Sony, LG, Panasonic, ARM, Intel, Broadcom, Samsung, Sharp, Toshiba, and Marvell. The bad news is while the above video is available in 4K, there’s currently no way for you to actually appreciate the full quality of that setting. Not only do you probably not have a monitor that supports the resolution of at least 3840×2160 to meet the 4K standard, but you don’t have the hardware that supports the VP9 video codec. That’s why Canadians in the business of video content production and delivery still see the market as a nascent one that won’t bear much fruit this year. Youtube will continue its exponential growth by supporting new, higher quality standards, says Shahrzad Rafati, founder and CEO of BroadbandTV Corp., a Vancouver-based company that operates a multi-channel network on Youtube. But BroadbandTV doesn’t have any current plans to produce 4K content at this time. Aside from the Internet, over-the-top (OTT) TV providers are also looking at entering the 4K video market. Redwood, Calif.-based MatrixStream Technologies Inc. announced its 4K IPTV platform at CES Jan. 7. Aimed at small network operators as a way to increase their revenue and compete with larger carriers that offer customers access to video content, its MatrixCloud OTT platform can deliver video to a smart TV, tablets, and smartphones. 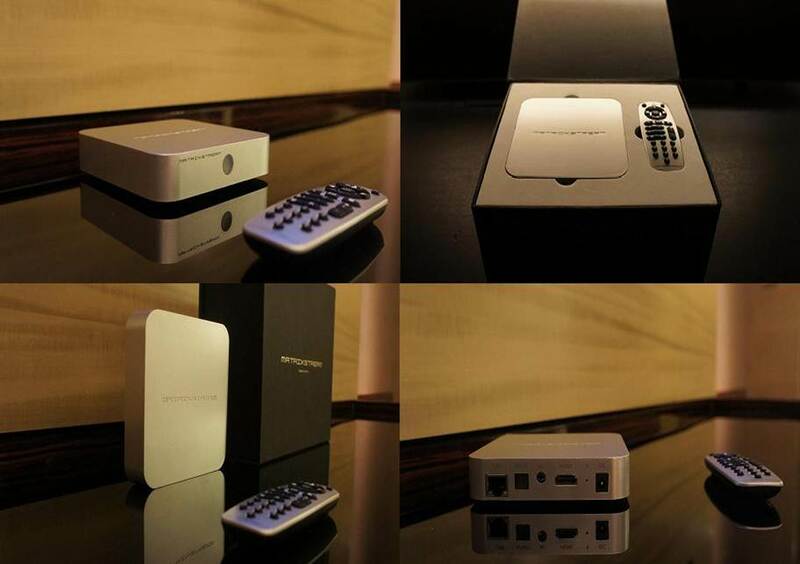 Several views of MatrixStream’s 4K capable set-top box. Canada has been slow on the uptake when it comes to 4K delivery, says Aaron Keogh, director of business development for MatrixStream and based in its Richmond, B.C. software development office. But that could change this year, though the network requirements to deliver broadcast-quality 4K video set a high bar for entry. Private networks that can provide quality of service (QoS) connections with a consistent bandwidth might have the advantage over 4K streamed over the public Internet, Keogh says. A rate of 20 Mbps bandwidth is needed for a good 4K video experience, he estimates. MatrixStream won’t be carrying Youtube’s 4K content because it doesn’t support the codec and it doesn’t have a licence for the content, he says. The platform provides access to mainstream cable or satellite channels that you’d expect. There’s one aspect of 4K video everyone agrees on – it will be delivered via PC and mobile device before the big screen in the living room. So before that high resolution is a big deal, it’ll be on a small screen.